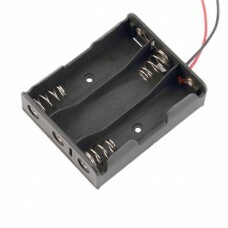 Battery holder for eight AA cells arranged as two back-to-back four-cell holders. 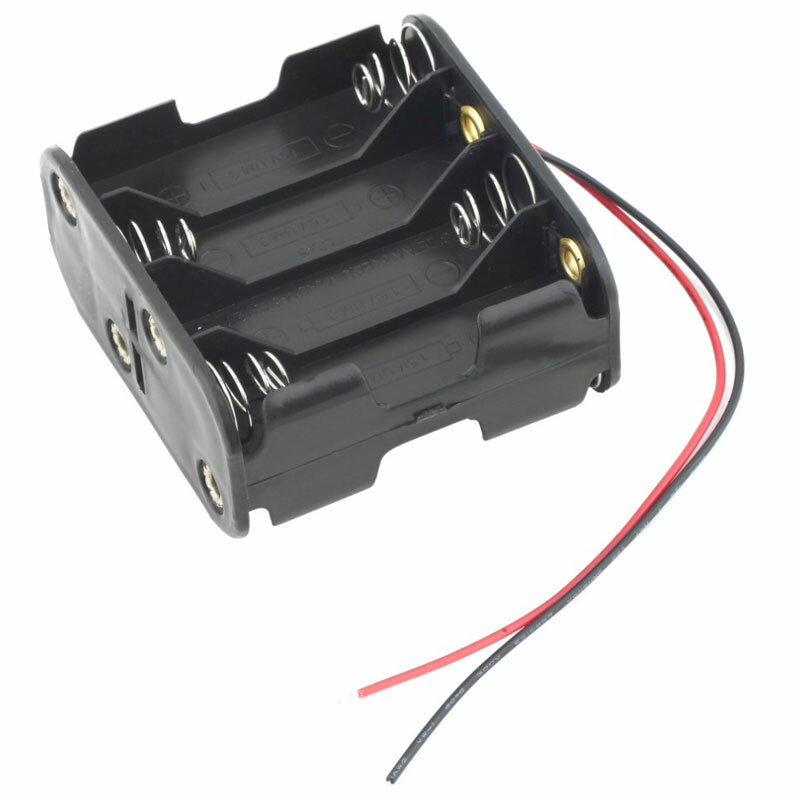 When you need a portable 12V power pack, this holder will do the job! 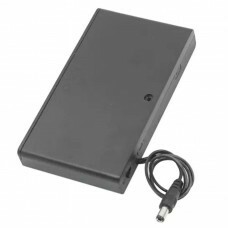 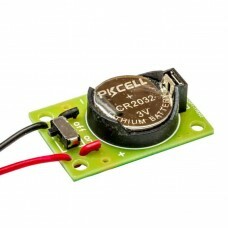 This would make a good power source for IR (Infra Red) panels, EL panels, 12V stepper motors (for a robot), or LED strips. 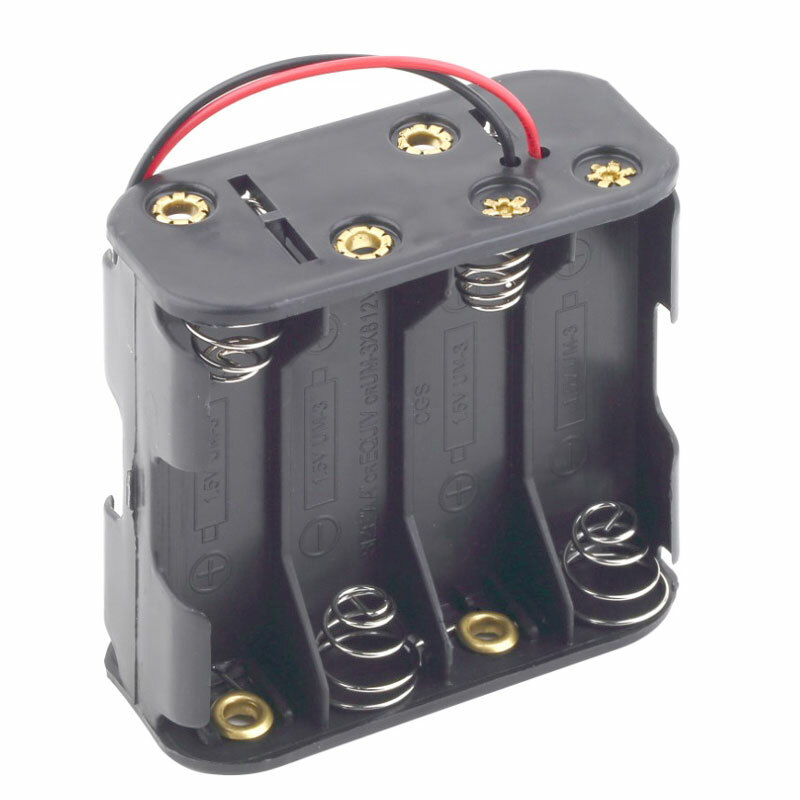 When used with regular or Alkaline batteries, total output will be approximately 12v DC, while running with Rechargeable batteries the total output will be approximately 10v DC. 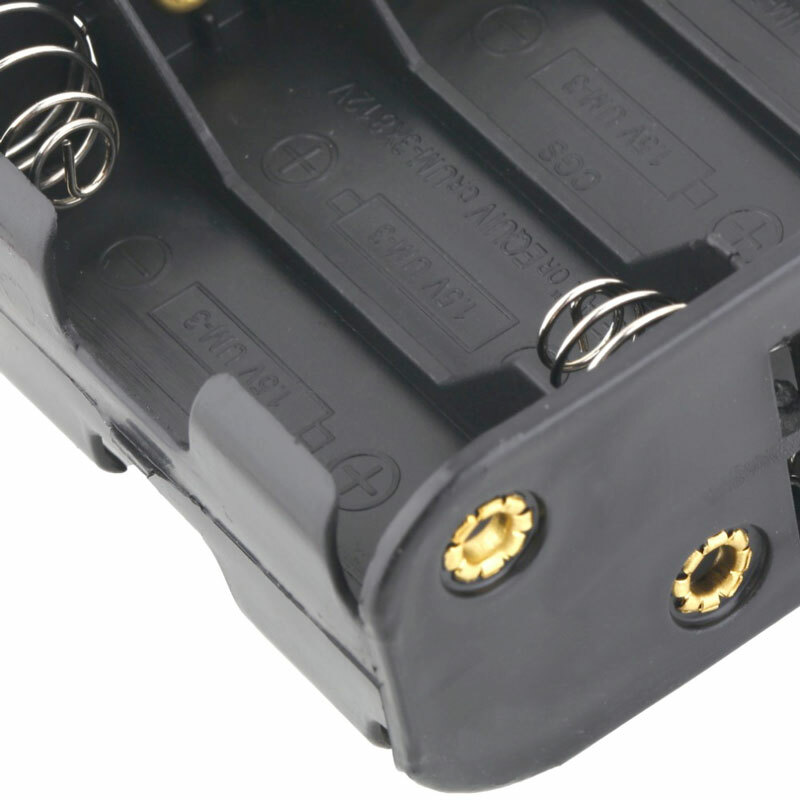 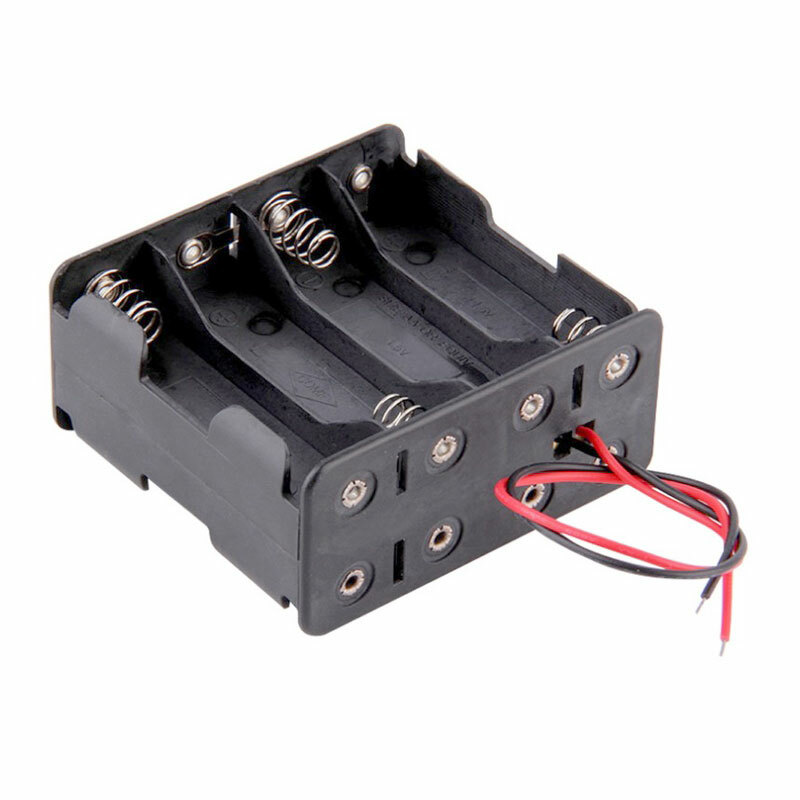 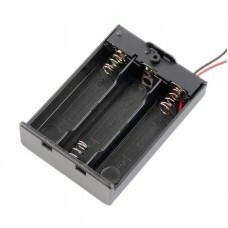 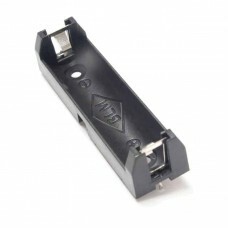 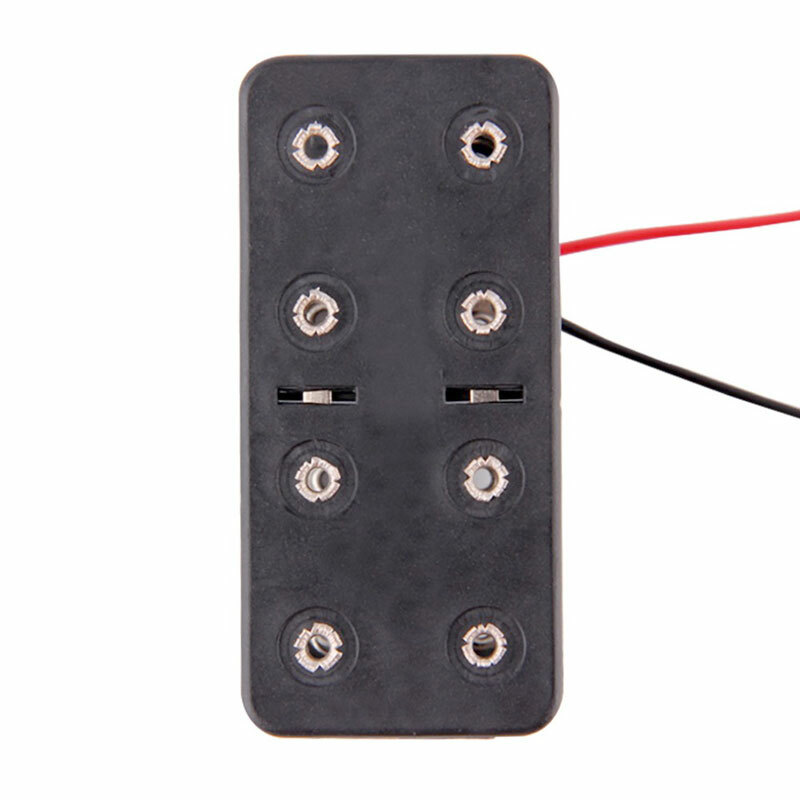 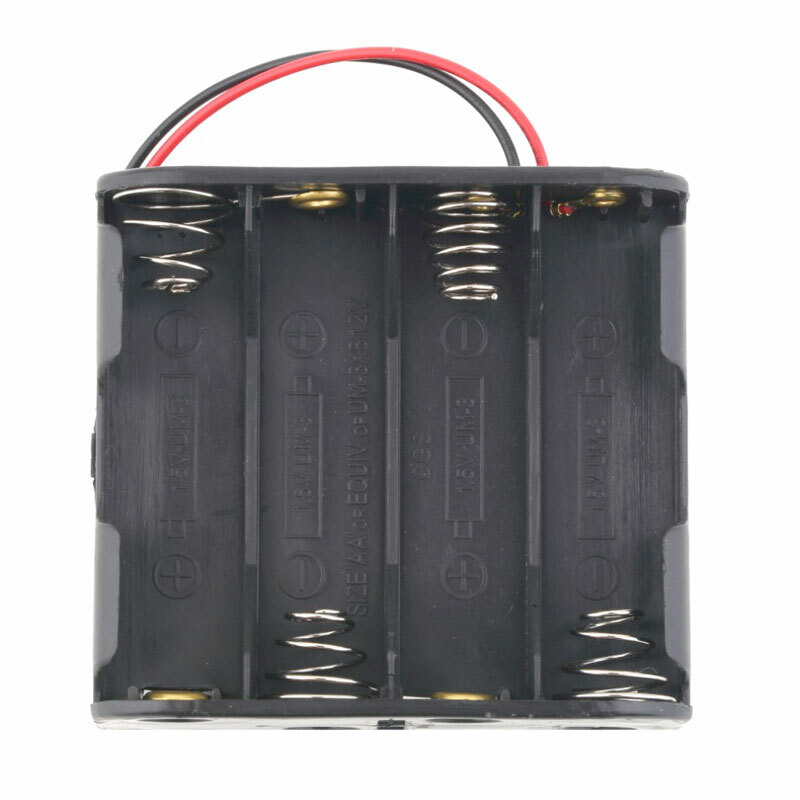 Battery holder has a 14cm (5.5”) connection wires. 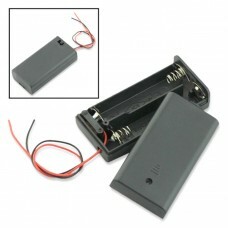 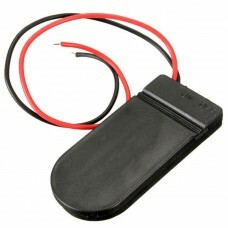 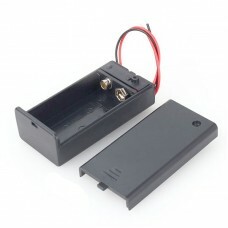 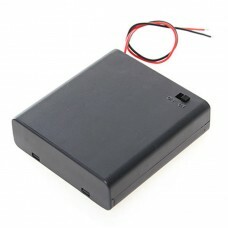 Batteries are not included, can be used with any AA-sized, regular, Alkaline or Rechargeable batteries.